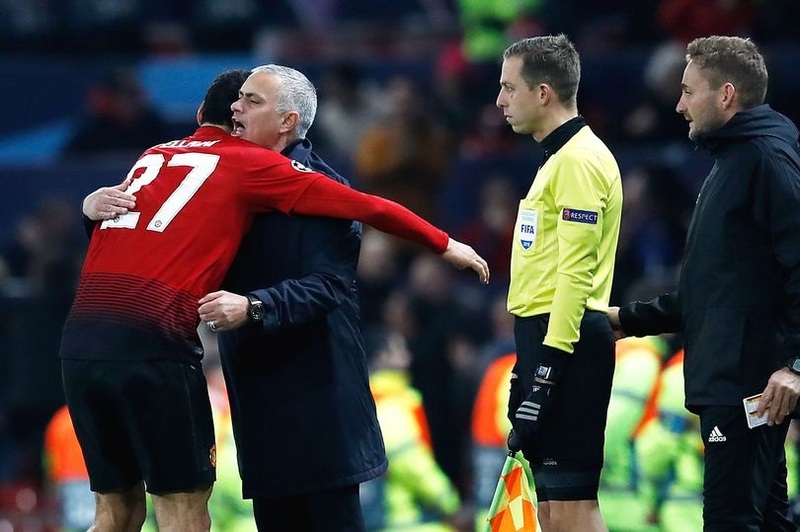 It was far from convincing but United's late victory over Young Boys on Tuesday night secured their progress to the Champions League knockout stages. Marouane Fellaini's late strike at Old Trafford means United are guaranteed to finish in the top two of Group H and it looks likely they will be runners-up behind Juventus. The Old Lady are away at Young Boys on the final match day and they have a two-point cushion over Jose Mourinho's side, who travel to Valencia. If United do finish second they will face the winners of one of the other groups when the draw for the second round is made in Nyon on Monday, December 17. Spanish giants Barcelona and Real Madrid have already made sure they will qualify as group winners with a game to go, while Porto are also assured of topping their group and could be the team that all runners-up want to draw. Group C remains wide open. Napoli will top the group if they beat Liverpool at Anfield, but if the Italian sides don’t win then Paris St-German will leapfrog them with victory in Belgrade over Red Star. Liverpool could yet top the group if PSG fail to win in Belgrade and the Reds beat Napoli, but United couldn't draw English opposition in the second round. That would also rule out a clash with City, who need just a point from their home game with Hoffenheim to top their group. Defeat could allow Lyon to overtake Pep Guardiola's side.